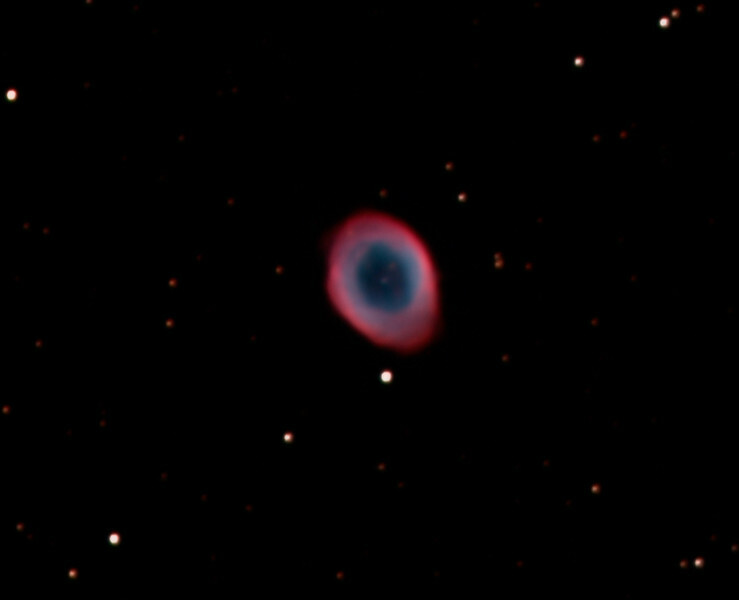 The "Ring Nebula" is located in the northern constellation of Lyra, and also catalogued as Messier 57, M57 or NGC 6720. It is one of the most prominent examples of the deep-sky objects called planetary nebulae. It is approximately 2,300 light years away.